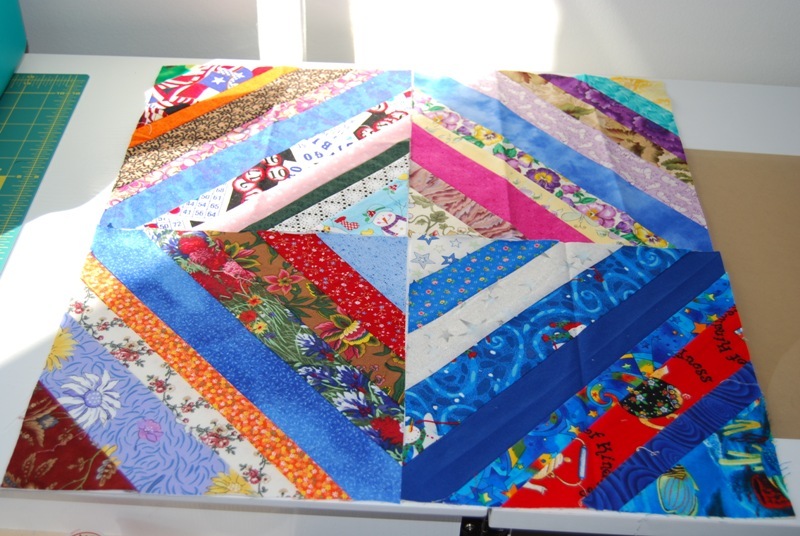 I’m celebrating the first year anniversary of the HeartStrings Quilt Project by making myself an anniversary quilt and quilters from the HeartStrings Yahoo group have been sending me blocks to be a part of it. I think it’s so neat how these string blocks from different quilters all work together. These 4 blocks came from Texas, Australia, Massachusetts, and Colorado. I can’t wait to see your anniversary quilt all together. It’s just so exciting. Now that is amazing! they look like they all came out of the same scrap pile. I started a sting quilt today too.